The term “dating simulator” probably conjures up a specific image in your mind, but I can almost guarantee that what you’re thinking of isn’t anything like Kitty Powers' Matchmaker. It’s a dating sim through and through, but you’re not a lonely protagonist looking for love. Rather, you run a dating agency and its your job to pair up clients, guide them through their dates, and – hopefully – find them their happily-ever-afters. It’s a deceptively simple game, wrapped in all the camp humour of the British drag scene, but it’s also surprisingly earnest. Within a collection of mini-games that make for abstract simulations of dating, there’s a great deal of authenticity in how it approaches the concept. 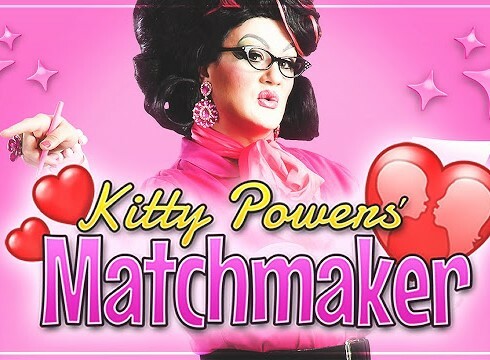 Kitty Powers' Matchmaker casts you as the co-owner of a matchmaking agency, where the goal is to help your clients find love. They come in, and based off a brief bio – occupation, hobbies, preferred hair and eye colours – and based off that, you need to match them with someone from Kitty’s “black book” of potential suitors. Once matched, the pair goes on a date, with you providing advice to your client from afar by radio. But this isn’t your typical dating sim, so there’s more to it than just picking dialogue options. Over the course of the date, semi-randomised events trigger mini-games – perform well, and the date will go smoothly; don’t, and it’ll crash and burn. They’re mostly simple memory games, like matching pairs (to decide which childhood story to tell), playing Simon Says (to compliment the chef), or remembering the order of desserts on a dessert trolley. Some games also have a luck element, like choosing discussion topics (by slot machine) or… trying to hold in a fart with a game of high card. At times, you get to choose whether your client lies or tells the truth in response to a question. A truthful answer might not be too well received, but lying is a gamble – literally, in that a “Wheel of Misfortune” decides whether you’ll be caught out. A good lie gets the best outcomes, but a bad lie gets the worst ones, so it becomes a question of whether it’s worth the risk. Assuming the date wasn’t a disaster, you can instruct the client to ask their date out again, ask them to go steady, or not see them again. Asking them out again is usually the safest option, but each pair can only go out three times before you have to decide whether they’re a match made in heaven. If it works out, you get a nice cash bonus and your agency’s reputation goes up; if it doesn’t, your reputation goes down. Pairing up a couple isn’t the end of their story, though. You’ll occasionally get mail from past clients telling you how things are going. Sometimes they’ll have a happily ever after, getting married and having kids; other times, things fall apart. So, by pairing up lots of couples that (hopefully) are matches made in heaven, you grow your agency’s reputation, attracting more clients, and earning you money with which to expand facilities. That’s really the loop of the game, and it’s simple, fun, and compelling. All of this is wrapped up in a camp, comical presentation that draws heavily on British drag culture. The game’s full of double entendres, wordplay, sight gags, and general eccentric silliness. The American restaurant is called “Route 69”, and in the Australian restaurant (Mother Tucker), you can order chicken skewered on a beer can – that should really give you an idea of what to expect from the humour. It’s low-brow and crass, but clever at the same time. 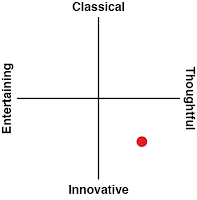 That said, the range of dialogue from clients, suitors, and Kitty Powers herself is very limited. It doesn’t take long at all before you start seeing repeat jokes, and multiple clients all saying the exact same things in the exact same ways at the exact same times. Coupled with a simple game loop and minigames that are ultimately quite shallow, Kitty Powers' Matchmaker is a game that gets repetitive quickly, and is best played in short bursts. But like I said, there’s a surprising authenticity to the game. Despite the abstractness of the mini-games, they do a good job of capturing the spirit of going on a date. They’re all about awareness – of your client’s date, of the restaurant they’re in, the waiter, all that sort of stuff – and finding that balance between being your real self and presenting an image that matches what you think the other person is looking for. As intentionally silly as the Wheel of Misfortune is, it’s a pointed abstraction of the sorts of judgement calls one has to make on dates (and in any sort of interpersonal interactions, really). I doubt anyone ever solved the situation by playing cards, but I’m sure we’ve all been in positions of trying to hold in a fart while out with a cutie pie. The updates from past clients are particularly poignant, silly as they are, because they cut right to the heart of the whole weird social phenomenon of “finding the right one”. I’ve had tenuous matches turn into lifelong partnerships, and “perfect” pairings fail disastrously. The inherent paradox of dating sims is that they’re a formulaic, deterministic approach to something that can’t be pinned down like that: make the right choices, get the affection levels up, and you earn the happy ending. 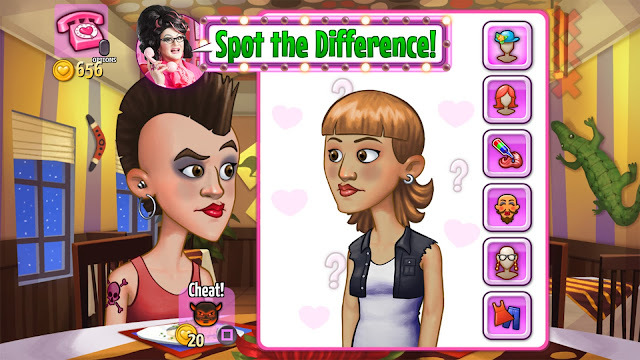 In Kitty Powers' Matchmaker, as in real life, “true love” is far from a science. Try as you might to find the rights suitors, the chips tend to fall where the will. I don’t think the final outcomes are entirely random – a well-paired match has more chance of a good result than a poorly-paired one – but there’s definitely that element of random fate that’s out of your control. That may make the whole game seem pointless, but if anything, it makes the dating part of the game that much more meaningful. It’s about enjoying the moment, even if it might not lead to a happily ever after, and at least giving love a chance to blossom.